We’ve found a holiday that just might be even more exciting than Christmas: Friendsgiving! 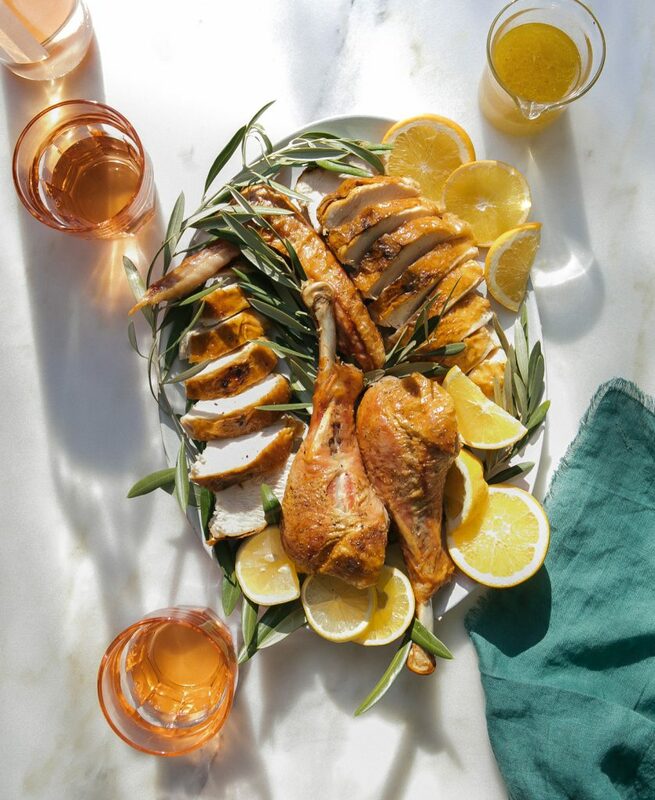 While Thanksgiving is usually a more formal affair with family, Friendsgiving is the perfect opportunity to make traditions with more creative dishes and décor your friends will love. 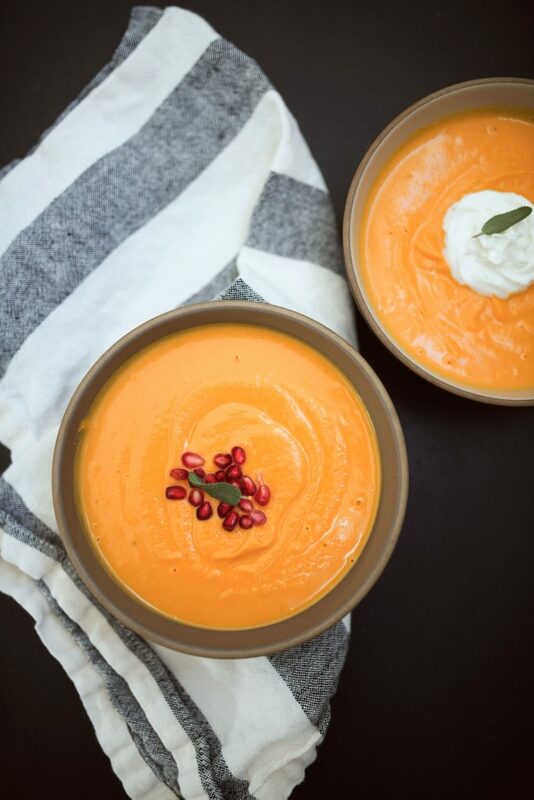 Since your friends don’t require all of the traditional dishes typically served at Thanksgiving, there’s no need to stick to a strict menu. Friendsgiving means you can truly make this holiday your own, creating fun, memorable traditions with your eclectic group of friends. Want to have turkey served with a frozen pizza and beer? Friendsgiving is the perfect event to make it happen. Looking to give your meal a southern flair with a deep fried turkey and a cheesy grits pie? Totally fair game! The biggest challenge when hosting Friendsgiving is figuring out who’s responsible for bringing what, especially knowing you have the freedom to get a little more creative. If you’re stuck on what to bring to your Friendsgiving dinner, we’ve made the process a little easier. 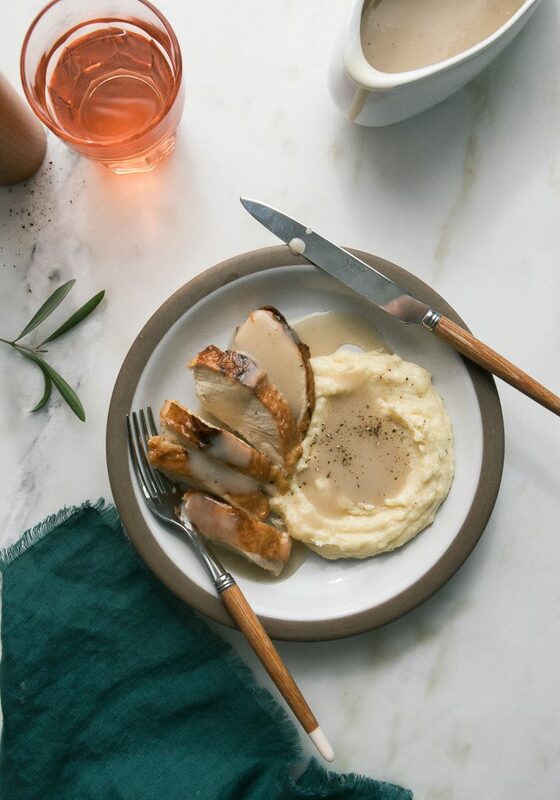 We’ve teamed up with a few of our favorite influencers to show you a few recipes that will create the perfect Friendsgiving spread! If there’s no turkey, did you even do Friendsgiving? Try this fun take on turkey from A Cozy Kitchen featuring a Cuban mojo marinade! 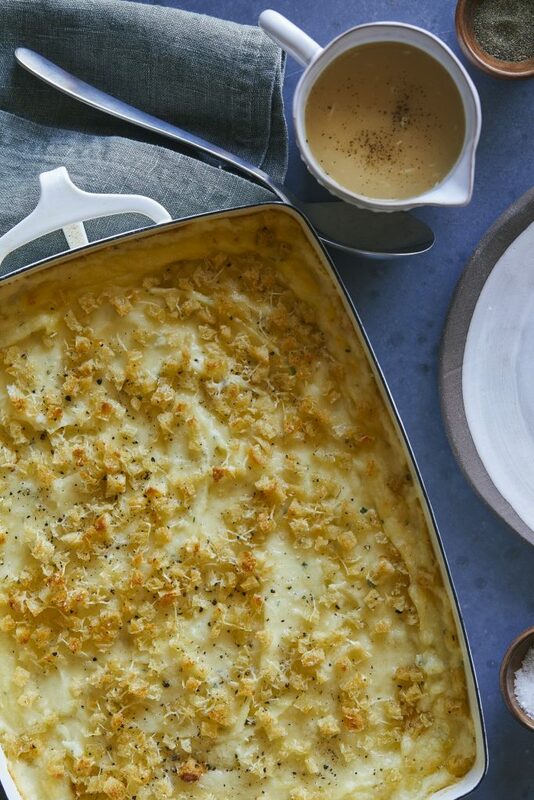 Cheesy herb baked mashed potato gratin? We’re so there. See how Spoon Fork Bacon puts a twist on your favorite side dish with a golden brown crust, and lots of cheesy goodness! Are you looking to stay on the healthier side this holiday season? 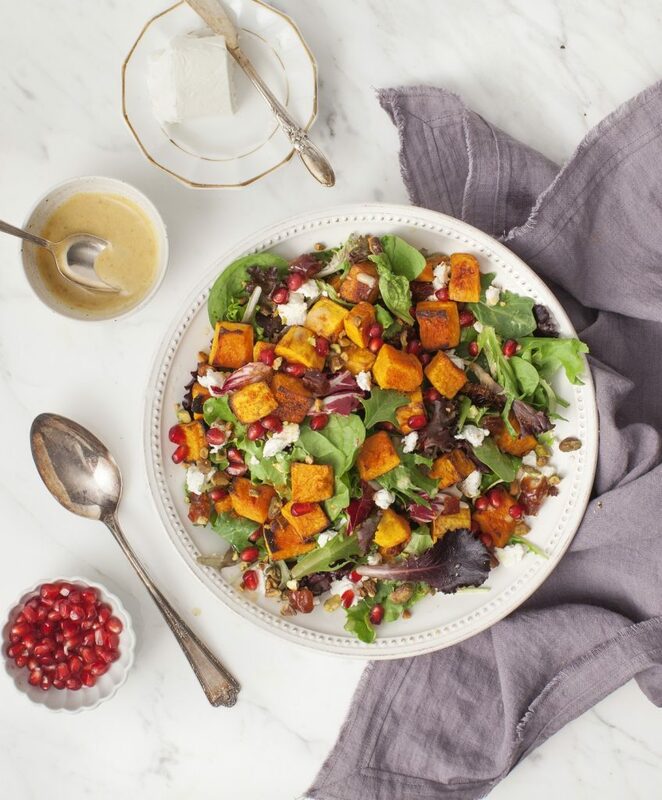 This Spiced-Up fall squash salad from Love & Lemons will add a little savory boldness to your dinner spread. Friendsgiving calls for fall ingredients! Nothing makes for a better Friendsgiving than a signature mocktail! 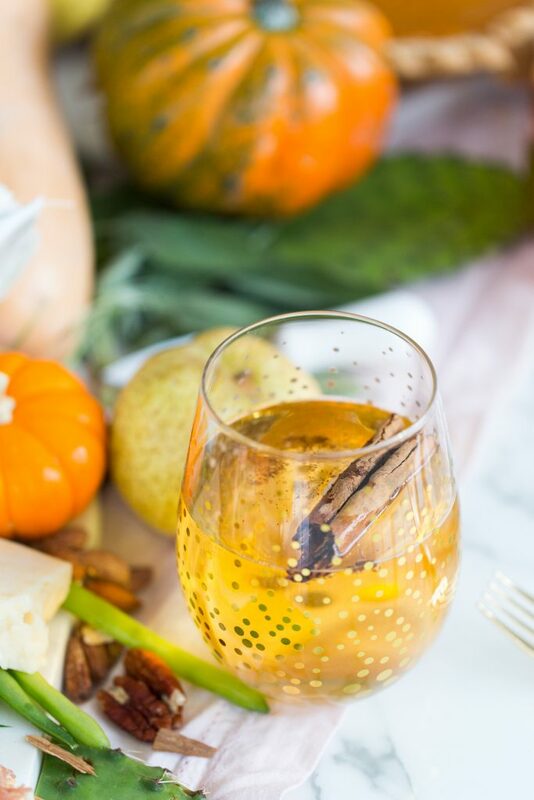 This Sparkling Pumpkin Cider recipe from Sugar & Cloth is sure to be a party favorite. The holidays were made for comfort food! 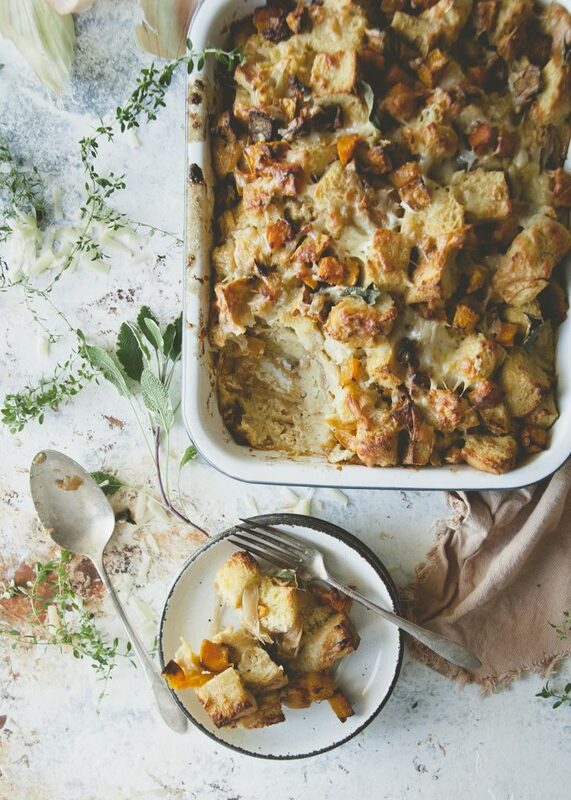 Show off your cooking skills with this Butternut Squash Savory Bread Pudding from The Kitchy Kitchen. Your favorite Thanksgiving dessert just got a whole lot better! 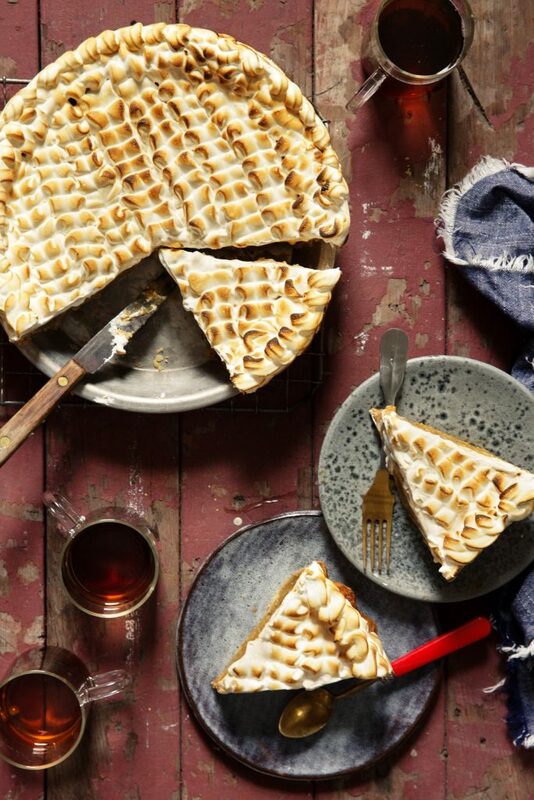 Try this Pumpkin Chai Marshmallow Pie from Baker’s Royale. What will you be making for Friendsgiving this year? Let us know in the comments below! To find the ALDI nearest you click here. I’m hoping to make a flavorful bundt cake. I love Aldi stores and hope there is one closer to me in Tampa Fl. soon ! Great food and a recipe site that is incredible.. Thanks for the love Debby! Thank you for such an awesome store. Your re-model is a great improvement on traffic flow,the prices are super as is every product you carry. WE LOVE OUR ALDIS IN GRAND RAPIDS MICH!!! Need an Aldi in Las Vegas!!!! Some of the recipes look so yummy. Do you have a direct site for the delicious looking recipes for us ALDI supporters? Hi Pat- If you click the links under each photo, it’ll take you to all the wonderful recipes from a few of our favorite bloggers! I have shopped at the SAME Aldi’s store for 29 years!! That is AWESOME! Thanks for sharing Sue! We’ve been shopping at the Aldi’s in Garland, Texas since their grand opening, several years ago. They just re-opened after being closed for remodeling and we were blown away by how beautiful the store looks now, and the wide aisles. The layout is much better and we love the Winter seasonal products! I used to shop at several other chain supermarkets but am buying more Aldi products now and am really pleased with everything I buy there. Thanks Aldi for great prices and great products. We’re so happy to hear you’re loving our new look. Thanks for sharing Pat! Thanks Aldis for the remodeled store in Indy!!! I really enjoyed shopping at my Aldi’s On NW expressway in Oklahoma City and when we just moved to Florida I was taken by surprise and happy to find one right here in Sanford fl. My only complaint is having to wait so long in line to check out but I still like the products and prices. We need an Aldi’s in Zephyrhills, Fl. My favorite grocery store!! That’s what we’re here for! Thanks for sharing! We just got a new Aldis in Sanford NC this week!!!! I’m so excited to shop local. I’ve been going to Aldis 30 minutes away and love the prices and products!!!!! We need an Aldi in Phoenix!!!!! Highlight of a trip to Ireland was a stop at ALDI in Donegal! we need an Aldi in Dunnellon Florida. Ocala is too far away!!!! Thank you for the suggestion Laura. We’ll be sure to share this with the real estate team! We found a wonderful White Cheddar cheese with Truffle flavor made in the UK at Aldi last month. My Husband loved it but I can’t find it anymore. It was wrapped in a wax paper wrapping. Of course, I threw out the wrapper and don’t have the brand name. Can this be reordered? I would love to have it for the holidays. Hi, Bernadette. We will forward your suggestion to our buyers for consideration. Thanks for reaching out. I see you’re selling knitting and sewing supplies here in the US now. Love it. Hi, Dorothy. We have these items right now as an ALDI Find. They will only be available for a limited time, but we hope you enjoy them! Hi, I have been very excited to see there’s an Aldi outside of San Diego, but are we going to be getting any here in the city, we don’t have much of a choice since some stores have merged and others closed! I hope it will happen so we can go when we need last minute items as apposed to big shopping days!! Thanks! Hi, BJ. We’re always looking for new opportunities. We will share your suggestion with our real estate team. I would love to have an Aldi in North Kingstown, RI. minute drive, which isn’t an issue, but a store in our community would be welcomed. Love all of your products, prices, and peeps you employ at the market. I have turned many of my friends on to Aldi’s Instead of the “super” chains that they shopped at. Your store is very streamlined, easy to shop at, and quick to check out. There are many criteria for a new ALDI location but we appreciate your suggestion and will forward it on to our team.